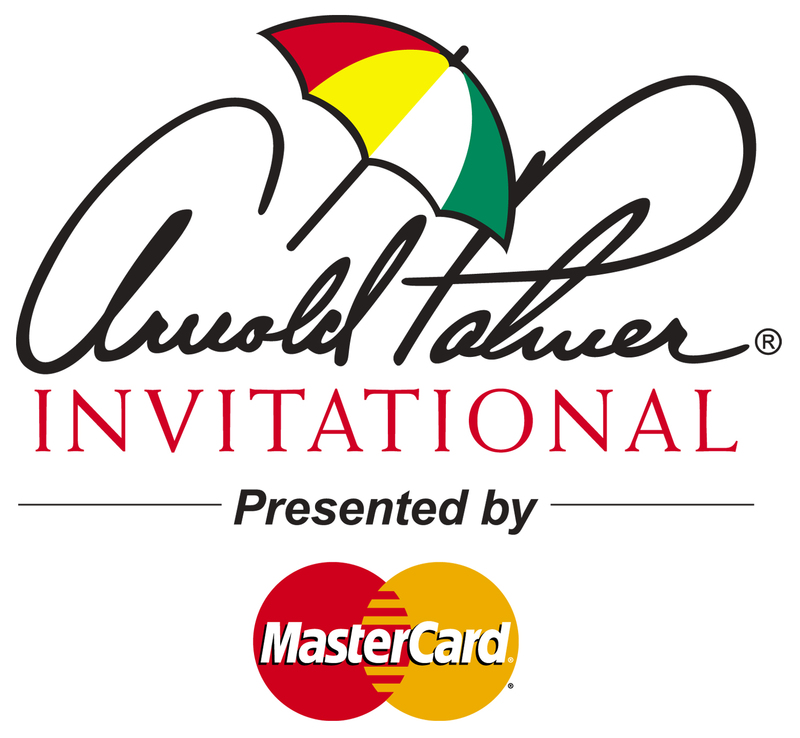 Purchase, NY, March 16, 2016— MasterCard is bringing the future of commerce to life with virtual and augmented reality commerce experiences and payment enabled wearables at the Arnold Palmer Invitational Presented by MasterCard (API) in Orlando, FL. Soon, golf fans may be able to shop for Graeme McDowell’s equipment and G-Mac apparel, while teeing off with him on a virtual fairway. Or, while out on the course, golfers might simply tap their golf glove at the point-of-sale to buy refreshments from the beverage cart—no wallet required. Harris English teams up with MasterCard at the Arnold Palmer Invitational Presented by MasterCard to show how a payment can be made simply with the touch of a golf glove. Attendees of this year’s API will be among the first to immerse themselves in a Priceless Golf virtual reality experience. The virtual tour with Graeme McDowell takes you to the iconic 17th hole at TPC Sawgrass’s Stadium Course, one of many Priceless Cities experiences. MasterCard is taking it a step further with a concept designed in collaboration with Wearality, an Orlando-based start-up that designs virtual reality glasses and wearables, to allow consumers to identify an item within the experience – such as a golf shirt – and buy it without leaving the virtual world. In addition, MasterCard will preview how consumers may soon be able to enhance their in-store shopping trips using augmented reality. 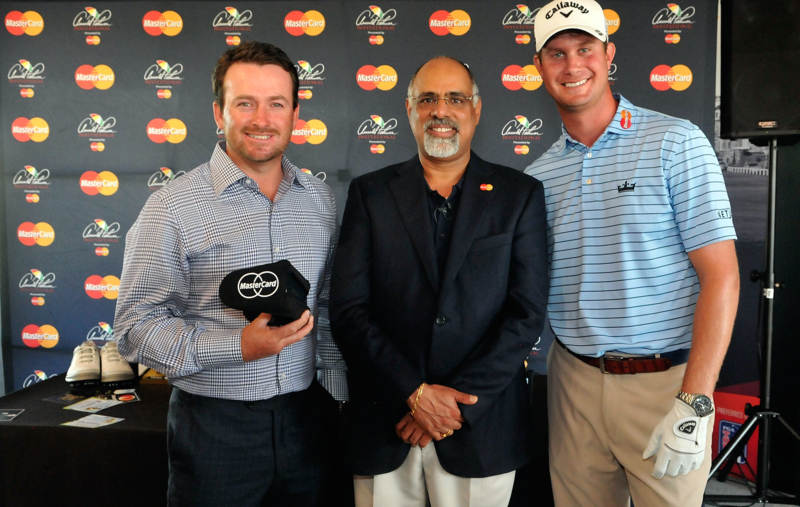 MasterCard’s Chief Marketing Officer, Raja Rajamannar (C) and PGA TOUR golfers Graeme McDowell (L) and Harris English (R) team up at the Arnold Palmer Invitational Presented by MasterCard to demonstrate the latest payment enabled solutions, including virtual reality and payment enabled golf gloves. For cardholders on the course, MasterCard teamed up with Callaway Golf Company to show how traditional golf gear – like a golf glove – could be used to make payments. As an extension of the Commerce for Every Device program, MasterCard is leveraging its advanced payment technology to allow golfers to pay for refreshments and merchandise quickly to keep them in the game. In addition to previewing what’s next for commerce, MasterCard is also expanding the presence of Qkr! with MasterPass at API to allow fans to order and pay for concessions and merchandise at the event directly from their Android or iOS device. 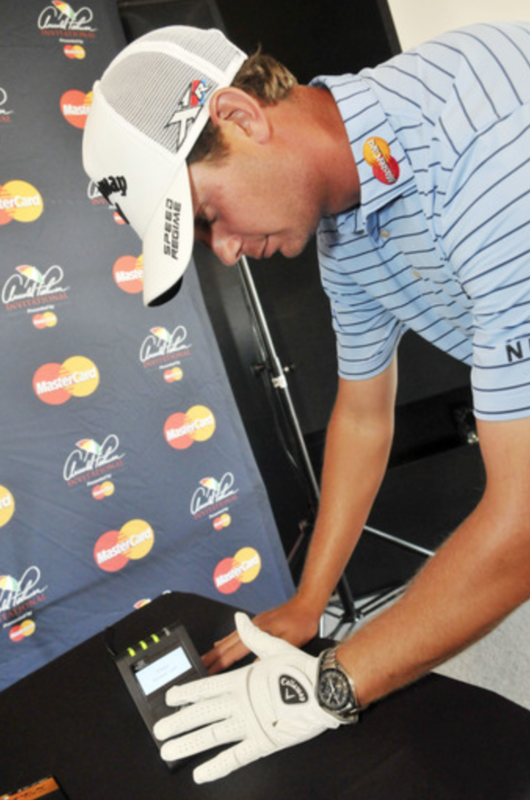 MasterCard will also make the equipment and gear used by its golf ambassadors available for purchase on Qkr! with MasterPass during the tournament. Proceeds from the sale of these items will go to Arnie’s Army, a charitable organization focused on well-being and development of children and youth, supporting health and wellness initiatives and strengthening communities and the environment. New payment technology on and off the course is just the beginning of how MasterCard is delivering an enhanced experience to golf fans. Cardholders who use their MasterCard cards onsite during the Arnold Palmer Invitational – which begins Thursday, March 17 on The Golf Channel – may also get a Priceless Surprise. Visit priceless.com/golf to learn more about all of the exclusive golf benefits and experiences available to MasterCard cardholders. MasterCard, www.mastercard.com, is a technology company in the global payments industry. We operate the world’s fastest payments processing network, connecting consumers, financial institutions, merchants, governments and businesses in more than 210 countries and territories. 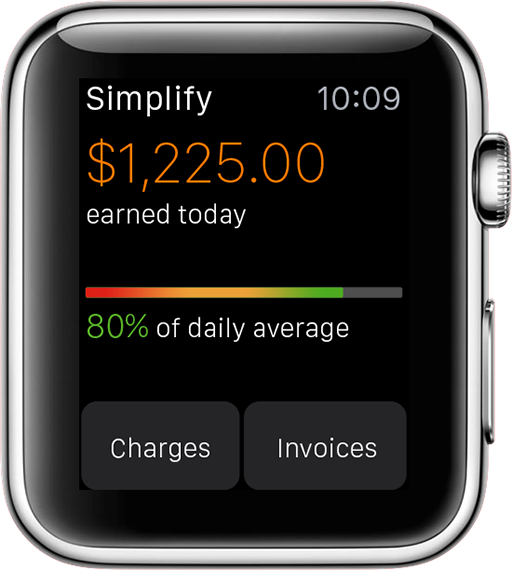 MasterCard products and solutions make everyday commerce activities – such as shopping, traveling, running a business and managing finances – easier, more secure and more efficient for everyone. Follow us on Twitter: @MasterCardNews, join the discussion on the Beyond the Transaction Blog and subscribe for the latest news.